My last six kids were born in Berkeley and were delivered by my wonderful midwife, Lindy Johnson. It’s her fault I had so many kids because she was so wonderful. Just kidding. She used to drive an old Volvo wagon with the license plate that read “DAR LUZ”. 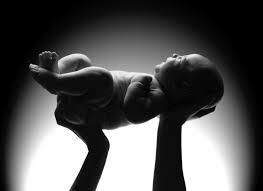 In Spanish, “Dar a Luz” means to give birth, but the words are literally translated “to give to light”. Childbirth has three stages: labor, delivery and delivery of the placenta. Labor has three phases: early, active labor and transition. Early labor is typically the longest and the least painful. Of the many labors I’ve experienced, during early labor I could still run errands, like go to the bank. I did that with the first one, and I was admonished by the Operations Officer (who was my mom’s friend) to go home, “you’re in labor.” You can still get things done in early labor. Like sign up for emergency Medi-Cal like I did….twice, different babies though. But as it gets increasingly difficult, you enter the active phase. Now you know you’re in labor. The contractions are strong, but tolerable. No more errand running. Sometimes the water breaks. Time to buckle down cause it’s gonna be a bumpy ride. Then, there’s transition. Lovely transition. Transition takes your cervix from about 7 to 10 cm at which time you can start pushing. Transition is what you see in the movies, the screaming, the noises that are beyond description and the call for the drug cart. Thankfully, transition is the shortest part of labor for most. My poor sister was stuck at 6 for over 12 hours until they realized the baby was stuck, and my niece was born via emergency c-section. Transition is the worst. This is the phase when you feel like giving up. You don’t think you can stand another contraction, and then before you know it you’re at 10. Time to push and get a look at that baby! “Dar a Luz” can be applied here. In the intensity of these tumultuous years, these transitional years for them, I want to quit, but I know I can’t, just like when I was in labor. I have found many opportunities during these times “to give to light”. Often in tense moments, I’d want to go off, lose my temper and unload my anger and frustration. But I restrain myself because I know it will only feed an already out of control situation; so instead, I dig deep down — breathe, focus — and try to find words that will “give to light”. I liken the teenage years to the kids’ emotional birth, and the transition is just as tough emotionally as the transition was physically during childbirth. I remember being a very difficult teenager. So I try to understand where they’re at and be patient. I breathe deep and focus on the goal of delivering these teens to adulthood. Most importantly, I want them to know that I am always here for them. Most of the time, they don’t talk, but sometimes, God opens a door and I’m amazed at their maturity. I am doing my best “to give to light” during these dark times of adolescence.